Happy New Year! My propensity for head to toe coordination was once again in overdrive as we rung in 2015 at the Indianapolis Museum of Art's annual bash last night. A champagne and confetti print dress is a bit kitschy, but hey, it's New Year's Eve. If ever there was a "right" night for this 1950s style dress, it's December 31st. It's not your typical "black tie" attire, but it's definitely festive (it also has pockets, which I love). 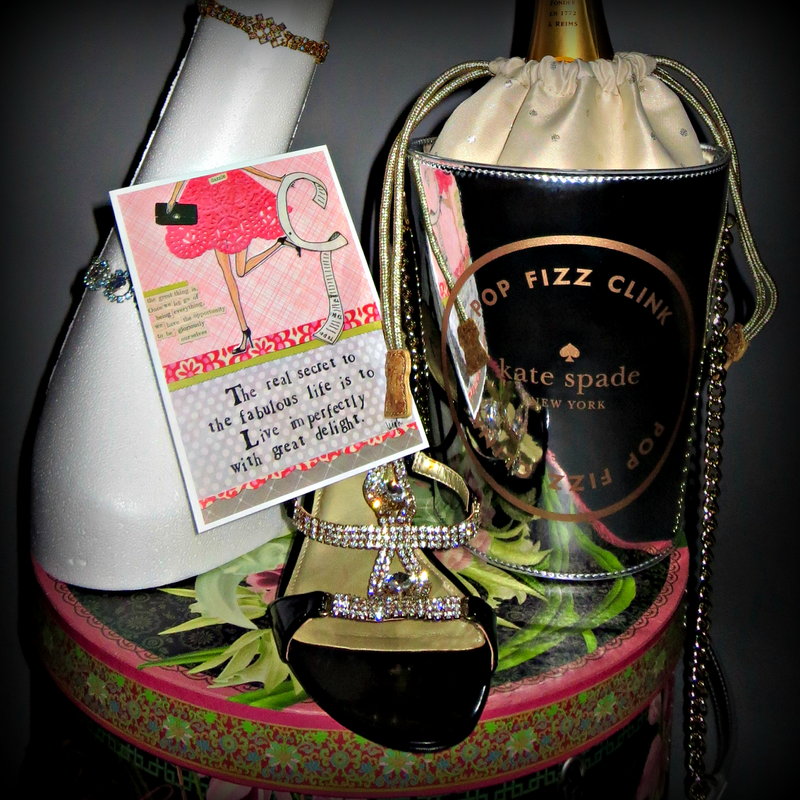 And since I'd already decided to go against the traditional evening gown grain, I figured I might as well pile on a few more bubbly elements to complete the look - a pop art Kate Spade evening bag that looks like a champagne bucket; and a Loreta Corsetti couture hat with a hand-beaded, custom Moet Champagne hat pin made from a souvenir I kept from last year's Kentucky Derby. The iridescent beads that Loreta used to create the champagne "bubbles" spilling from the Moet bottle topper inspired me to pull out a vintage 1950s aurora borealis necklace and bracelet that belonged to my Grandma Dorothy. I also added a small, coordinating brooch to the hat. It, too, belonged to my grandmother, and I know she'd be thrilled that her treasures are still being enjoyed and admired. Hat (Loreta Corsetti Couture Millinery, Chicago). If you love hats, check out the Style Crone's monthly Hat Attack for more inspiration. I hope all of you experience balance, spontaneity and pure joy in the coming year. 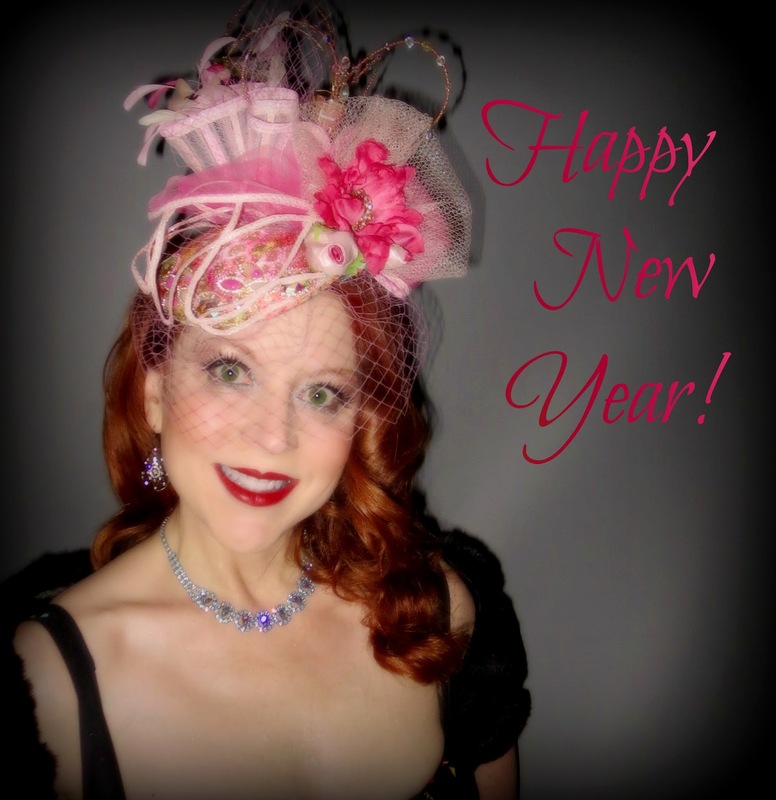 Cheers to living with great delight in 2015! I have just found you in Judith´s blog, and loved your style. Thank you so much, Mis P. I just love finding new inspiration from all of the creative women that Judith brings together. Happy New Year to you, too! Popped by from Hat Attack. Thank you Tami! Happy New Year! Thanks so much! It really made NYE feel even more special. 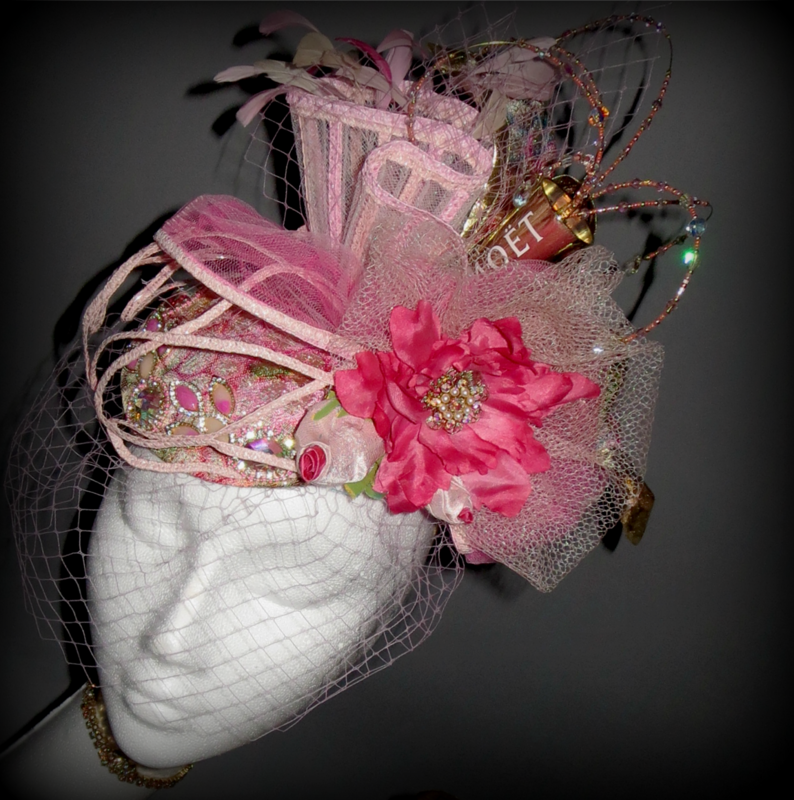 Spectacular headpiece! I love your New Year's Eve outfit and your sense of style. 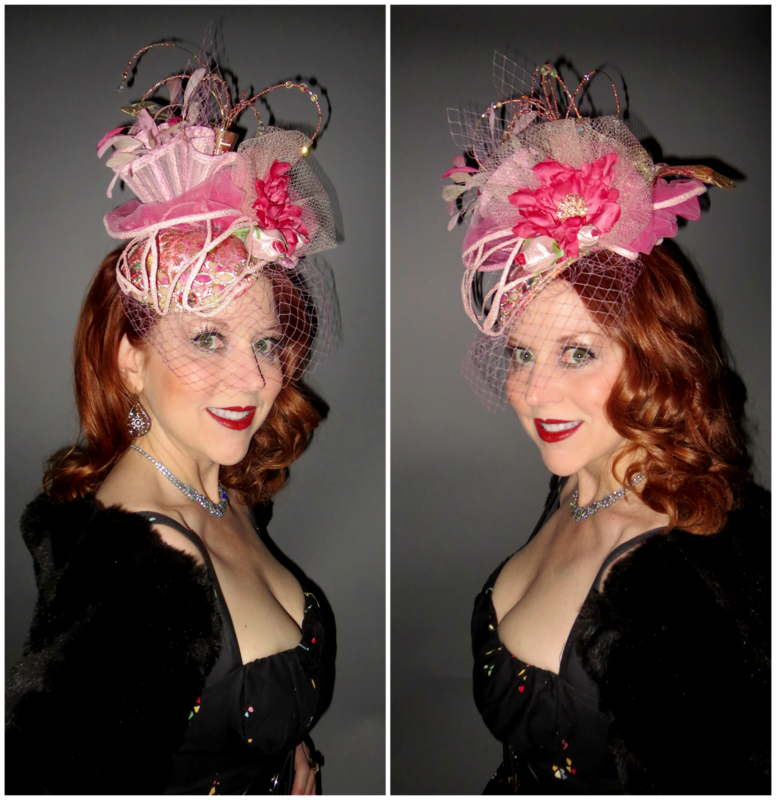 Thank you for always adding your vibrant beauty and glamour to Hat Attack! Thank you, Judith. I eagerly await your stylish posts for inspiration. Oh my goodness!! How absolutely fabulous in fashion as well as sentiment! I am applauding you all the way around my dear! the biggest of kudos! Wishing you a most joy filled New Year! 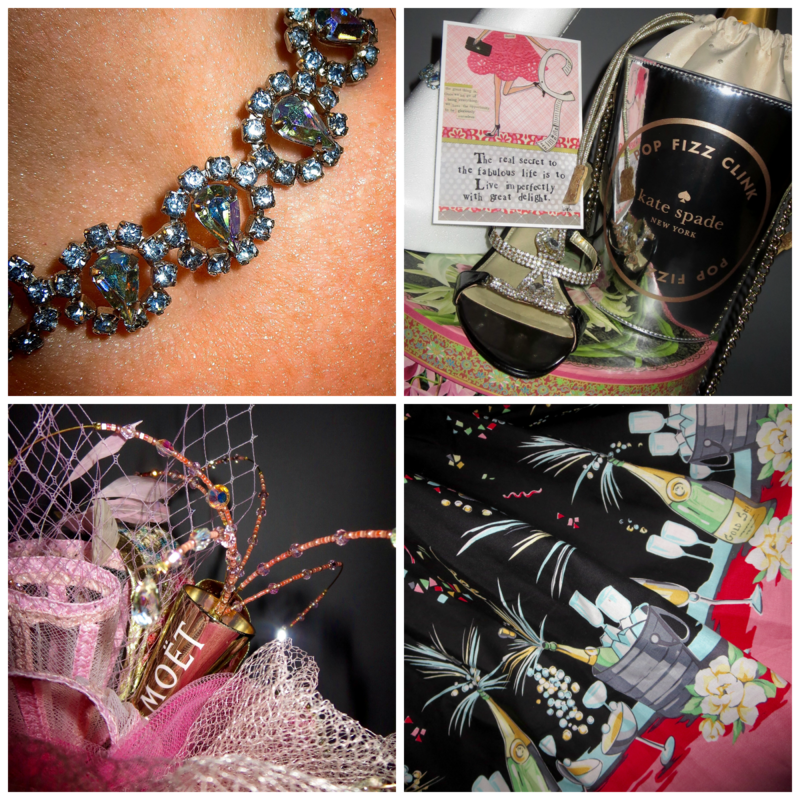 I am ever so delighted to have found you … and your blog! Thank you, Tamera. It's so wonderful to meet others on a similar journey and doing it with style! I look forward to following you. You have great style! And I just love your hair; it's gorgeous. This Bernie Dexter dress is amazing! :) I love her clothing, I have a few dresses and a skirt myself. Thanks, Bristol! We definitely have similar taste in dresses! Happy New Year!